Aircon: When Is The Right Time To Choose Aircon Overhaul? When Is The Right Time To Choose Aircon Overhaul? Nevertheless to say, there comes a time when you need to have to scrap away the air conditioner that you had been using and get another one. Indeed, most Singaporeans have been faced with the challenge of knowing the right time that they need to choose aircon overhaul rather than continuously visit the air conditioner specialist for repairs and servicing. A good air conditioner must have the optimal amount of refrigerant in it. However, there are some cases when your aircon is low on refrigerant. This abnormal condition arises either if the aircon leaks or it was undercharged during installation. If it leaks, the best solution is of course, getting a well-trained technician from a reputed aircon-servicing company to fix it. Remember that the efficiency and performance of any air conditioner are optimal when the refrigerant charged matches exactly to the specification of the manufacturer. In other words, it should not be undercharged or overcharged. If your aircon keeps on leaking every other time, it could be tedious. In addition, you need to note that a refrigerant leak is harmful to the environment. Imagine a situation when the humidity is quite high and your living room is filled with harmful leaks from your aircon! It is actually dramatizing and the best alternative is to choose an aircon overhaul. As stated earlier in the introductory section, if you need your air conditioner to last longer, then you are supposed to maintain regular checkups and maintenance. 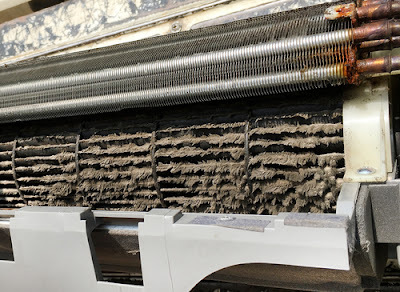 Indeed, if you allow air conditioning coils and filters to become dirty for a long time, then there are high chances that the whole device will not work properly. In the worst case conditions, the compressor, or fans may fail prematurely. Therefore, if some of the above major parts of your aircon are no longer functioning, then there is no need to repair it since buying spares will be more costly than getting a new air conditioner. 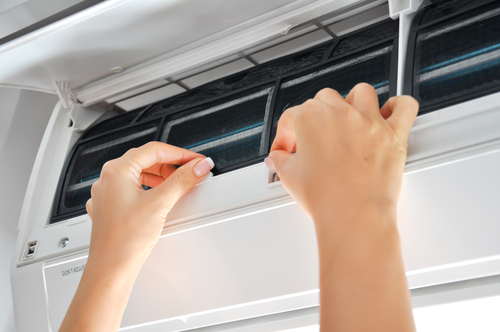 In this regard, you are advised to choose an aircon overhaul as the ultimate solution. Well, energy consumption of home appliance is of great concern to many households in Singapore. Indeed, any buyer at an electronic store would consider buying a device whose power ratings are quite low while delivering optimal services as well. In this regard, a spike in electricity bills for your air conditioner typically signals poor operation. Ideally, when the aircon filter is dirty or when the condenser is choked, more power will be used, which means an increase in operating cost. You can try to fix it, but if the problem persists, then you can choose aircon overhaul. 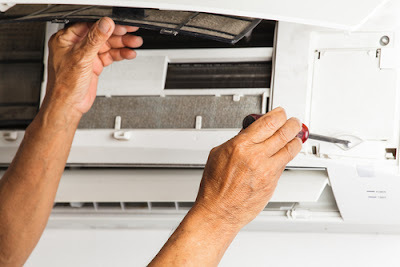 You might be wondering what has happened to your air conditioner when the AC Unit fails to kick on despite the fact that you have been servicing and maintaining your device. Well, if an aircon shows the above sign, then it is most certain that it has burnt-out compressor. Indeed, when a compressor is out of order, the AC Unit will never run. The only way to fix such a condition is a costly replacement of the worn-out equipment, which requires some other various small parts and Freon. In addition to costly equipment, the labor charge for this service is too high, and the total cost of fixing the problem is approximately $700 to $1,900. Therefore, if you consider the cost of fixing burnt-out compressor, it might be wise to choose an aircon overhaul. Have you ever heard buzzing, rattling, or ticking sounds coming out of your air conditioner when you try to start it up or during operation? If yes, then you might be wondering what could be the cause and the possible solution. In most cases, the weird noises can caused by loose screws fixed on some parts of the device. If this is the case, then the solution is just simple since you need to tighten the loose screw. On the hand, the bad news is that the abnormal noises could be caused by a bent fan blade (for outdoors) or burnt blower (for indoors). Indeed, the only possible solution for this case is to get a new fan blade or fan motor respectively. Actually, replacing this equipment is not only costly, but it also requires trained aircon experts who offer the service at a higher price. In this regard, it is better to consider choosing an air conditioner overhaul. Is the challenge of knowing the right time to choose an aircon overhaul still facing you? Well, if you consider all of the above, then you will be sure of knowing when to consider a complete air conditioner overhaul.